Welcome Home to this Gem in the County. 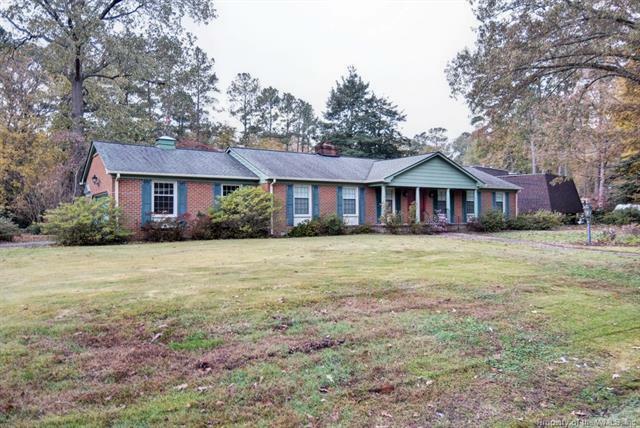 Lots to Love here with a little opportunity to add your special style in this all Brick Rancher on over 1/2 an acre with lot backing up to Mill Creek. Gorgeous Wood Floors in Family room with Wood Burning Fireplace & Mantel, Kitchen offers great counter space and plenty of cabinets. Living room with built In book-cases and trim work as well as a formal Dining room. Entry Foyer greets you with elegant style, this home has a nice flow from room to room. Nice size bedrooms, Master has newer walk in mobility jetted tub for just the perfect soak after a long day. Front Porch or Back Screened Porch, Laundry room & Garage finish off this awesome home. Brand New Carpet and Paint make this home Move In ready.